Designed and built multiple financial applications in APEX (School Allocation Module, School Utilities Module, Budget Administration Module, Targeted Initiatives Module) with more currently under construction. Development and hosting of online web applications. Each application is custom built for each client using Oracle Application Express (APEX) running on Amazon's Elastic Compute Cloud (EC2). Jeffrey provided database and application design, development and maintenance to the Department of Commerce. His experience with the Oracle database was used to support multiple applications running on Oracle Forms/Reports 10g, Oracle database 9i, 10g and 11g. Feedback received: "[Jeffrey's] approach and execution is very comprehensive." Jeffrey provided application support and maintenance to Western Power Corporation, for the Metering Business System (MBS). MBS, a package application running on Oracle 9i, is central to the processing and distribution of meter readings for all customers throughout WA. MBS has a VB front-end, connecting to the Oracle database via IBM MQ Series, with batch processes written in Perl, SQL and PL/SQL. He provided expertise and training in writing and improving SQL queries, PL/SQL scripts, making the most of the features of the database (including indexing, the cost-based optimizer, stored outlines, and pipelined functions), and was often called upon to advise on the best way to solve functionality and performance issues related to use of the Oracle database. His responsibilities also included developing batch reporting scripts (SQL, PL/SQL, Perl), diagnosing errors and performance issues reported by users or batch processes. 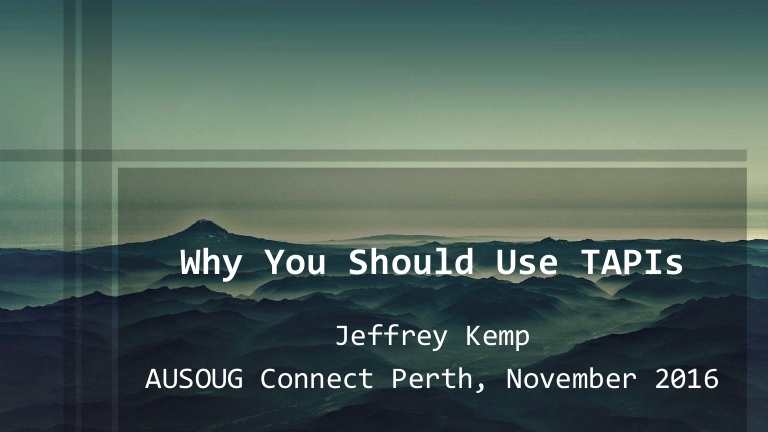 Jeffrey provided his expertise in Oracle based technologies to the Western Australian Police for the enhancement of their Incident Management System (IMS). Incident Management System (IMS) is the core information system used for Policing in Western Australia. It is a 24x7 business critical system based on Oracle Forms and Reports 6i, Oracle Database 10g, and Solaris. He was involved in eight releases of the software, providing development and design for a large number of new and modified components, training development staff, writing, maintaining and reviewing technical documentation including user interface specifications, providing detailed development estimates, participating in peer and quality reviews, risk and issue assessments, options and recommendations, and supporting ongoing production. The project was a large-scale complex Oracle software development project in a highly structured environment employing formal methodologies and strict source and change control, requiring adherence to strict design, development and testing guidelines and standards. Project: CALS (Complaints And Licencing System) for DOCEP (Department of Consumer and Employment Protection) (now Department of Commerce). Principle developer in a small team. 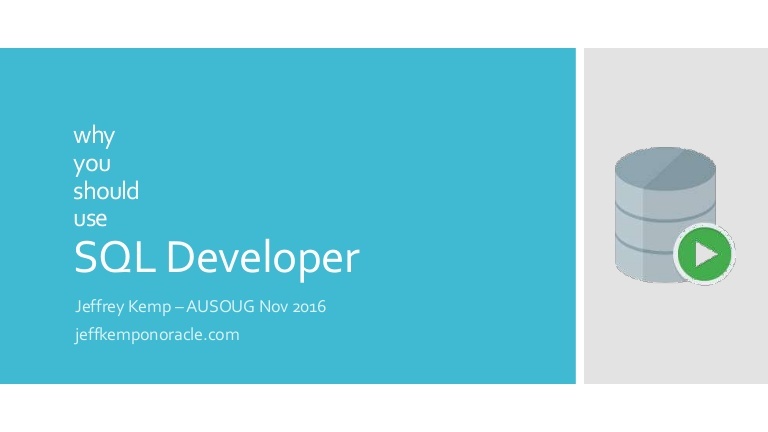 Provided advice on application design, Oracle capabilities, resolving errors and problems, and performance tuning to clients and colleagues. Send transactional messages via SMS, MMS and Text to Voice from Oracle database. Validate email addresses and send emails with pure PL/SQL. Fully featured without using SMTP. 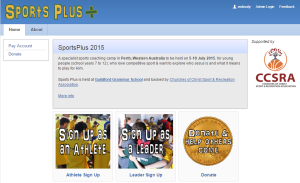 Online registration for special events such as youth camps, built for SportsPlus in 2015 to take registrations and online credit card payments from players, leaders and coaches. 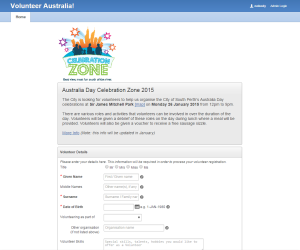 Web site built for the City of South Perth to register volunteers to help at the Australia Day Celebrations in 2015. 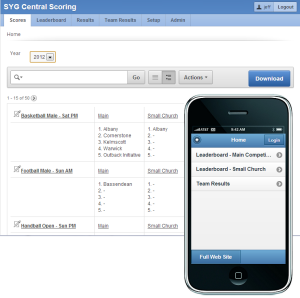 Two applications in one, for State Youth Games - one to allow players to sign up, and one to collect and publish the event scores, uses the new multi-interface feature of Oracle Apex 4.2, which allows it to automatically decide whether to present a “Desktop” style or “Mobile” style site to the user’s browser, depending on the characteristics of their device. Since upgraded to Apex 5.0 and used by SportsFest, GI Games, Masters Games and others competitions. Web site for Foothills Church, including info pages for general public, a member info and roster reminder system using emails and SMS, a custom CMS for staff to keep the public-facing site up-to-date, and a worship leader song list and worship service planning application. Online web site for anyone to keep track of their home contents, their warranty details, and their home library. Everything - designed, built, and maintained. The site allows users to sign up for a free account and enter details for their items. 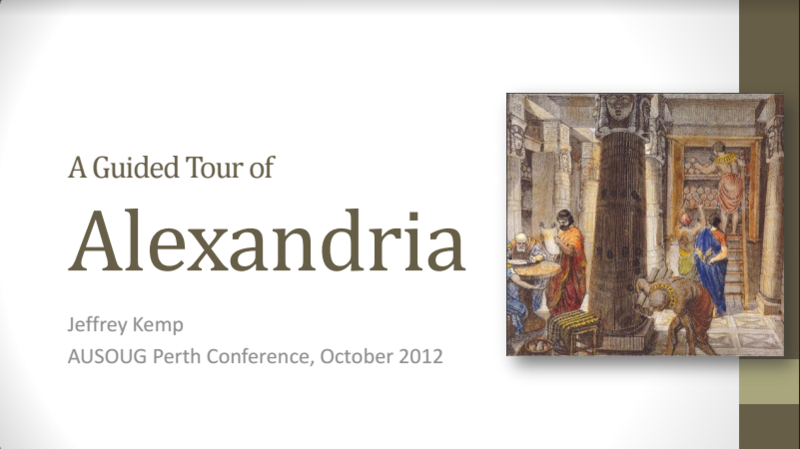 They can enter ISBNs for their books, and the site will try to fill in details and download cover images automatically. Is there any way to determine if a package has state in Oracle? What does the colon sign ":" do in a SQL query? 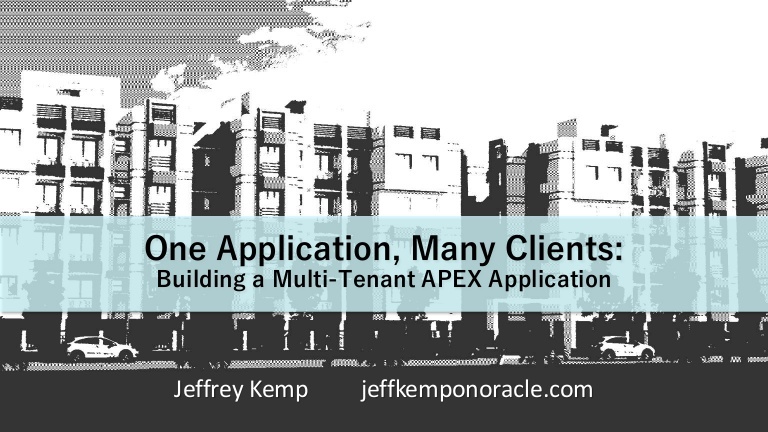 Converting an APEX Application to Multi-Tenant; presented at the AUSOUG Connect Conference, November 2017.
or "Towards a Standard TAPI", presented at AUSOUG Connect Perth, November 2016. Oracle Application Express and Oracle Row-Level Security (RLS) (aka Virtual Private Database) work very well together. 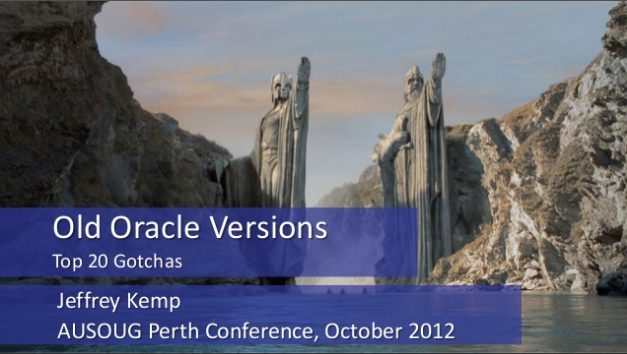 Presented at the AUSOUG Perth Monthly Meeting, June 2013. Feb 2004 → Oct 2005 Consultant – Dialog I.T. Written 1250 answers. Active in database, oracle, oracle10g, oracle11g, oracle-apex and 21 other tags.